The Ministry of Road Transport and Highways has issued a notification amending the Central Motor Vehicles Rules which directs all vehicle manufacturers to install the more secure licence plates on their new vehicles. The government has made it mandatory all new vehicles to come with pre-fitted high security registration plates. To this effect, the Ministry of Road Transport and Highways has issued a notification amending the Central Motor Vehicles Rules which directs all vehicle manufacturers to install the more secure licence plates on their vehicles before they are rolled out of the production facility. Pre-fitted high security registration plates (HSRP) have been on the mind of the government for some time now. Earlier this year in April, Union Transport Minister Nitin Gadkari had talked about plans to make pre-fitted HSRPs mandatory for all classes of vehicles, the price for which will be added to the price of the vehicle. The idea is to ensure nationwide uniformity in licence plate prices and bring down the cost for the customer, who has to spend anywhere between Rs 800 to Rs 40,000 for them. HSRP, introduced in 2005 with additional layers of security, were made mandatory in 2012. Since September this year, the Delhi transport department has made absence of high security licence plates on vehicles punishable by fine, or even jail. The responsibility of installing them, however, still lies with the dealer or the customer who have to procure them from authorised vendors. The notification by the transport ministry further suggests that authorised vendors could even provide new HSRPs to older vehicles if the state government agrees to it. The high security registration plates come with several security features. They are made out of aluminium and are wrapped in reflective tapes. These are tamper proof and are equipped with chrome-based hot-stamp self-destructive holograms, along with an image of the Ashoka Chakra; retro-reflective film, bearing a verification inscription 'India' at a 45-degree inclination; and the permanent identification number of minimum 7 digits which will be laser branded into the reflective sheeting on the bottom-hand side of the registration plate. The plates are fixed with tamper-proof non-removable, non-reusable snap locks, which will break on any attempt to remove the plates. 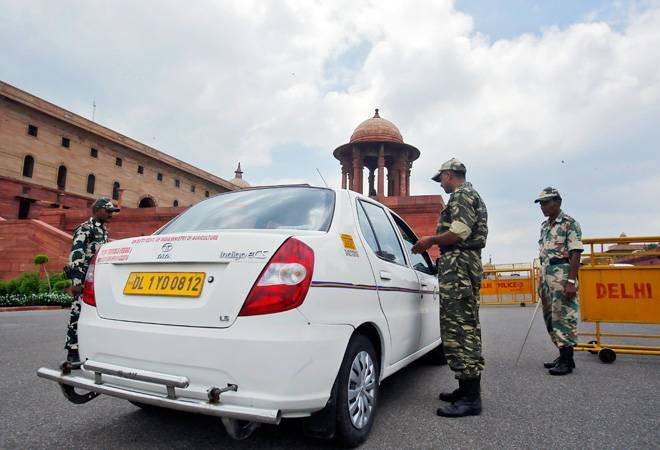 Pre-fitted HSRPs are likely to cut down on the cases of vehicle theft and fraud in the country.